In the wake of the Rebel Alliance's destruction of The Death Star, Darth Vader's own star within the Empire has fallen. Placed under the command of Grand General Tagge, the Sith Lord bristles at having his power mocked. 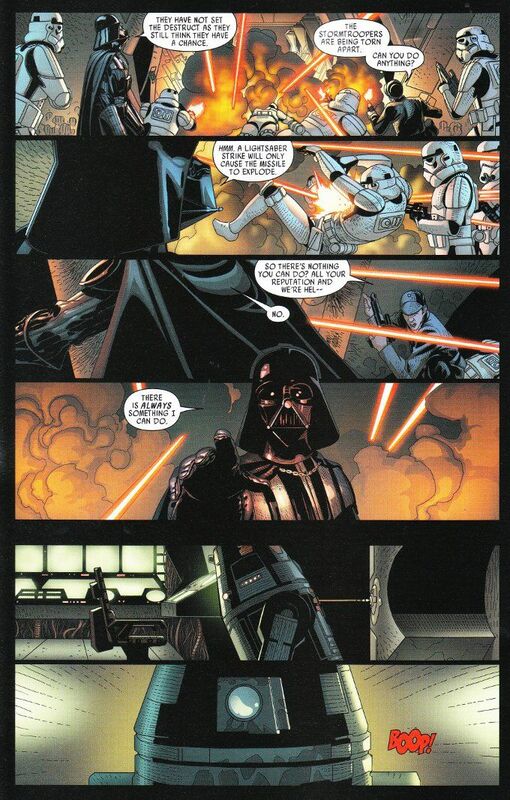 The added insult of being assigned a Lieutenant to watch over his every move proves to be the final straw and Vader will soon show that he is far more than a simple weapon to be wielded. Kieron Gillen's script for this issue is a marked improvement. 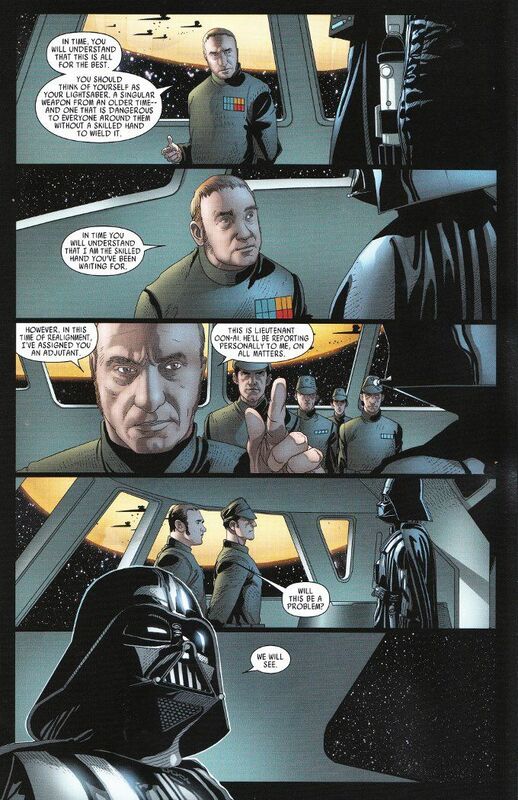 The awkward dialogue that plagued the first issue has vanished, though Darth Vader's sense of drama remains intact. And those who feared that we would not see Vader the warrior after the early emphasis on office politics in The Emperor's palace will be relieved to know that this issue features Lord Vader at his most treacherous. As before, the artwork by Salvador Larroca and Edgar Delgado is good. The characters are well depicted, the inks are perfectly applied and the colors are wonderfully chosen. To borrow a line from Darth Vader himself, it is "most impressive."